Bring the beauty of spring right to your front door with this Fun Butterfly Scatter Welcome Doormat on your porch. Created with a dye sublimation process, this mat is long-lasting and the exquisite colors are great for any environment throughout the inside or outside of your home. Pair your mat with our indoor tray for a cushion comfort surface. 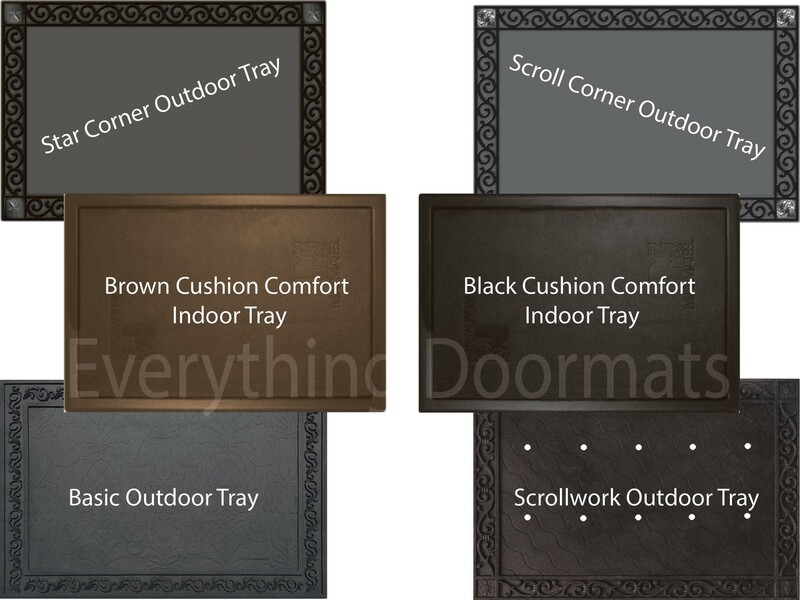 Display your mat in our outdoor tray to make a fashion statement at your front door. Created to be used indoors or outdoors. This Butterfly Scatter Doormat is 18" x 30" when used as a stand-alone mat.